I welcome everyone from these 3 events. I have two book giveaways available for you today. I am hoping that new visitors become followers of my blog. We are all about celebrating children's authors. 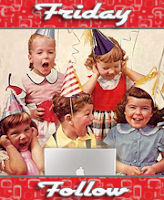 We celebrate authors on their birthdays and have introduced a new feature called "Surprise Party" that introduces you to new authors. This format allows you and your family to be exposed to a variety of literature. This book was featured as a Mother's Day edition of the Surprise Party feature. Sherry Ellis has published two books about her experiences as a mom. This book would be a great baby shower present or a gift for a new mom. Click Here to Enter Giveaway - Giveaway instructions are at the end of the author interview. 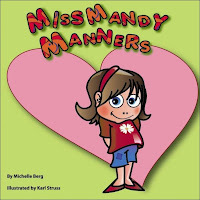 This book gives parents an opportunity to talk about appropriate behaviors with the guidance of a great character, Miss Mandy Manners. Miss Mandy is well behaved at home, school, in public places and at her friend's house. As a result of these good choices Miss Mandy is well liked and has lots of friends. I made many lesson plans to go along with the book too. 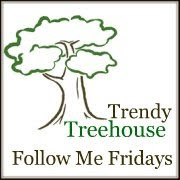 Happy Friday Follow, I am following you:) I would love for you to visit and follow back if you like! Nice idea for a blog/site!! I'm Follower #80--your newest 5follower from "New Friend Friday". Following from FF. Have a great weekend! Happy Friday Follow! Following you back from BeachMonkeys!! Happy FF! Following you back from Friday Follow! Have a great day! Great blog - what a lovely idea! Happy FF, thanks for stopping by! I love your blog, i read books all the time to my daughter! Following back from FF. So excited to read through. My grandmother was a children's literary critic so this is a subject close to my heart!